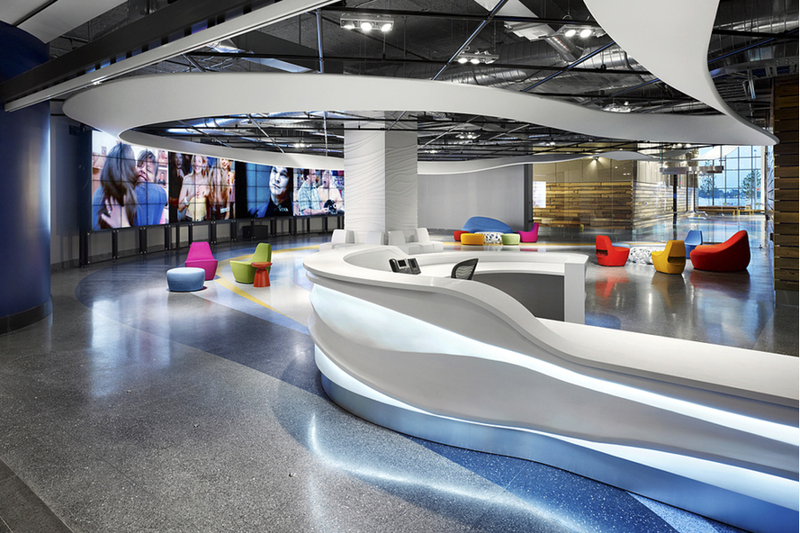 There is really no place more entertaining than the Corus media company located in Toronto, Ontario, after all entertainment is what they do best and there’s no wonder why their offices are like one big amusement park for their employees. The Corus Quay building is the 500,000 sq ft home for their 1,000 employees. Being on the waterfront had a huge impact on the design of the place, hence the three story slides. 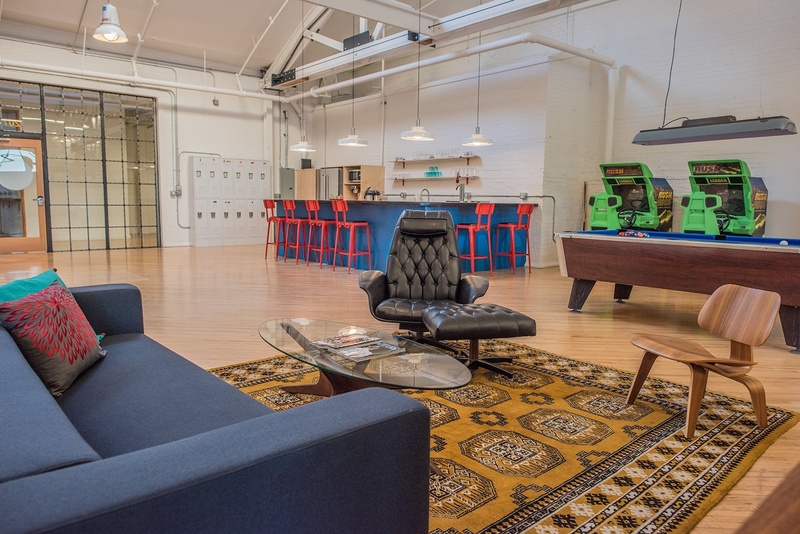 Some of the cool things you can find inside is a a bicycle storage room that hold more than 70 bikes, over a hundred collaboration spaces, a lounge area and more. This is what we call working in nature, literally. The Architecture office in Madrid took working in the woods one step further and design an office that is all about serenity and getting close to nature. The office is located in the forest with lots of natural light coming through, clean lines that make it relaxing to work and a great choice of colors. We bet commuting there is an adventure on its own. It’s definitely not about the giant slides or playful design, but more about the relaxed atmosphere. The design of the Airbnb Operations Hub enjoyed a taste from all different worlds, literally. Due to its global nature, the designers could really go all out when they planned the Dublin office. The rooms are actually inspired by real listings from Airbnb. 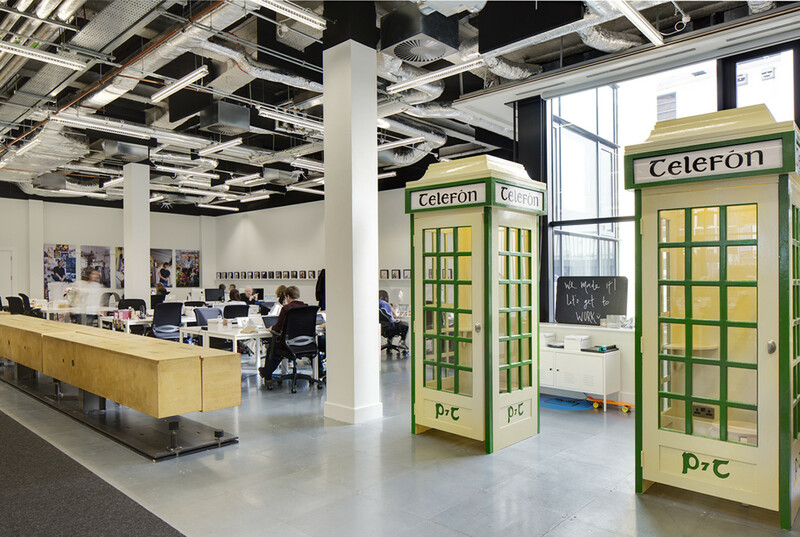 Some of the other real inspiration derived a lot from Ireland’s most recognized sites such as a real Irish pub or traditional telephone boxes. The pods that are spread around the space have windows on both sides in order to have a 360 view of the office. You can’t think of Red Bull and not have the word energy pop in your head. The headquarters in Cape Town took everything the brand stands for and implemented it in the design. 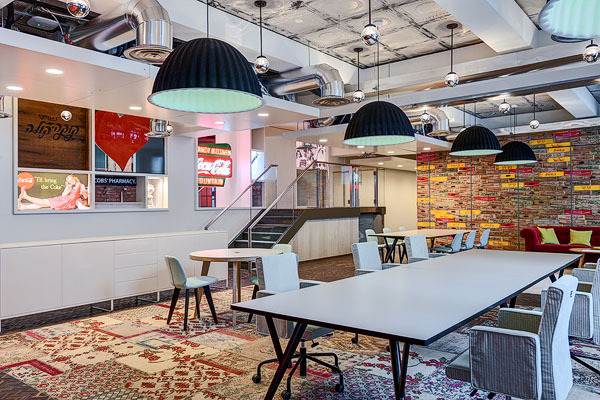 The offices are designed in a way to make both the employees and guests feel at ease and an open vibe with lots of color, character in every corner and dynamism when walking through the spaces. And of course a bar is almost mandatory to have. 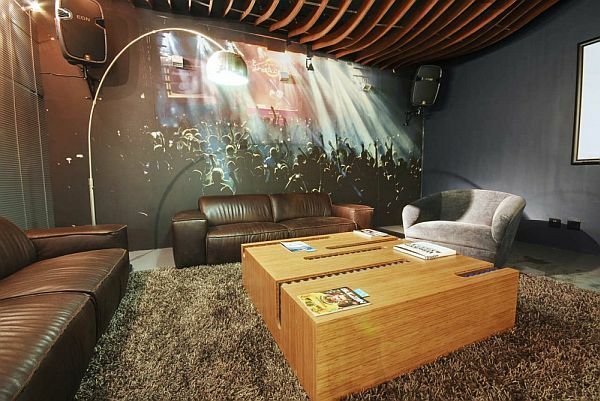 The wall arts are a big part of the design and they sure do add to the atmosphere. The Capital One Lab team in San Francisco are the fun and more colorful version of their mom company, which is a bank. The designers took everything that is contradictory to a bank and spilled it inside the offices of the studio. 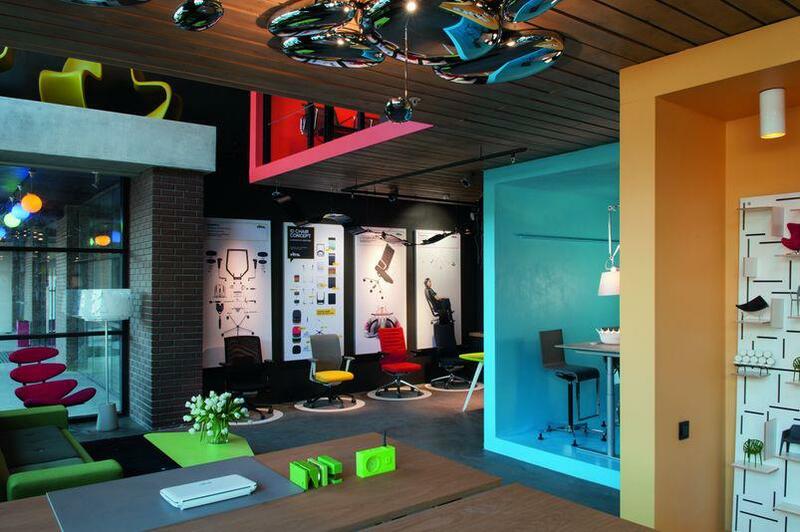 The choice of distinct colors brings out the playfulness of the place and adds to its distinctive look. 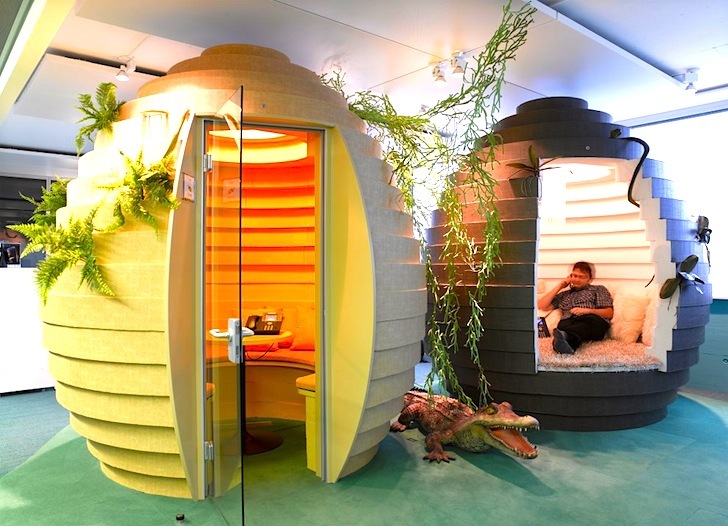 One of the genius ideas was creating sleeping nooks for when employees wanted to take a rest during a hard day at work. Everything that was designed had some great thought put into it and the designers achieved practicality and awesomeness at the same time. 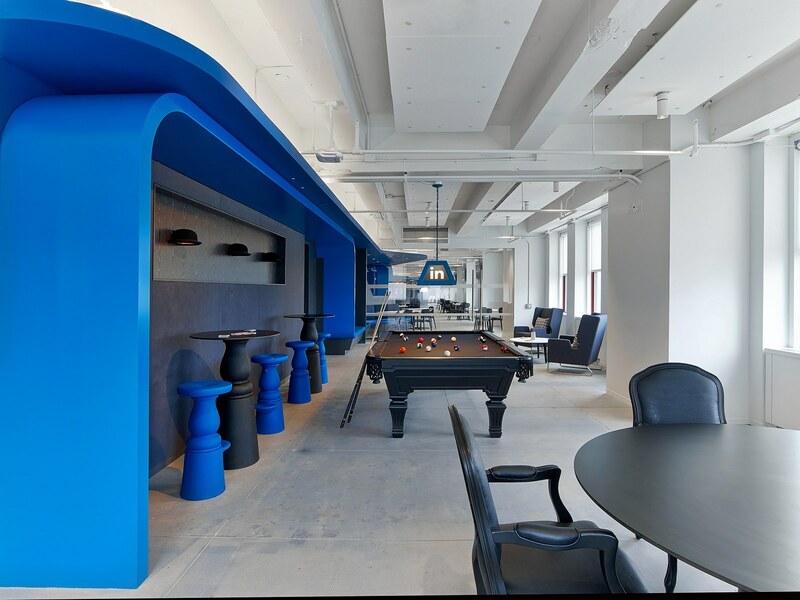 The professional social network just remodeled their New York offices that are located no other than in the Empire State Building. 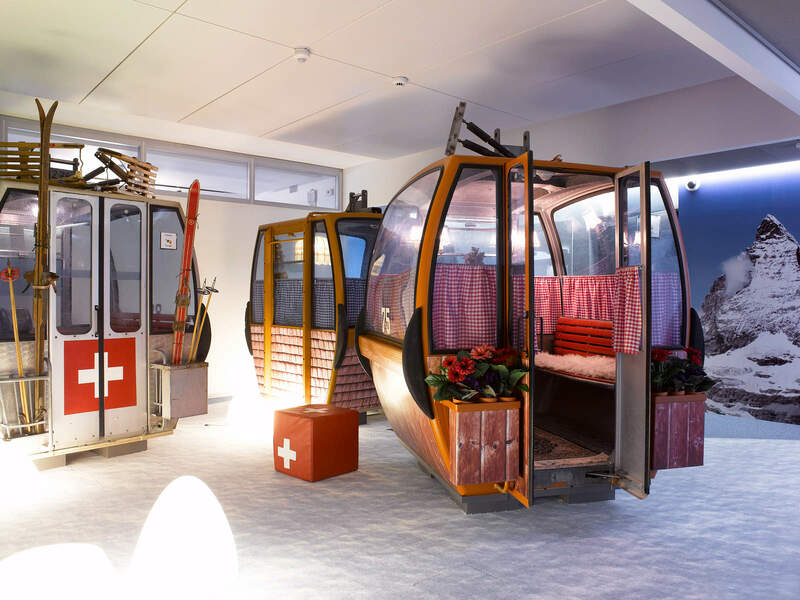 There’s no doubt the LinkedIn offices are in away required to look professional on hand and on the other hand have a creative added value to them. 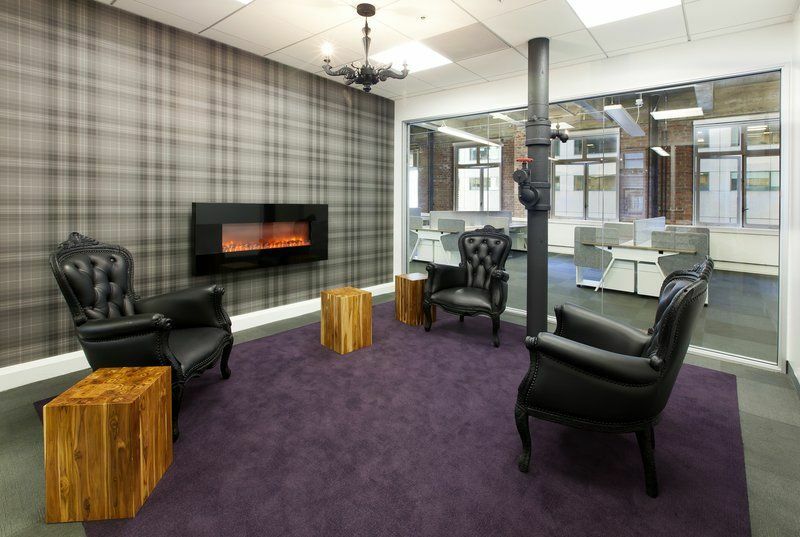 The multi million and multi national clothing company has style and trend written all over it, and their offices are just the same. 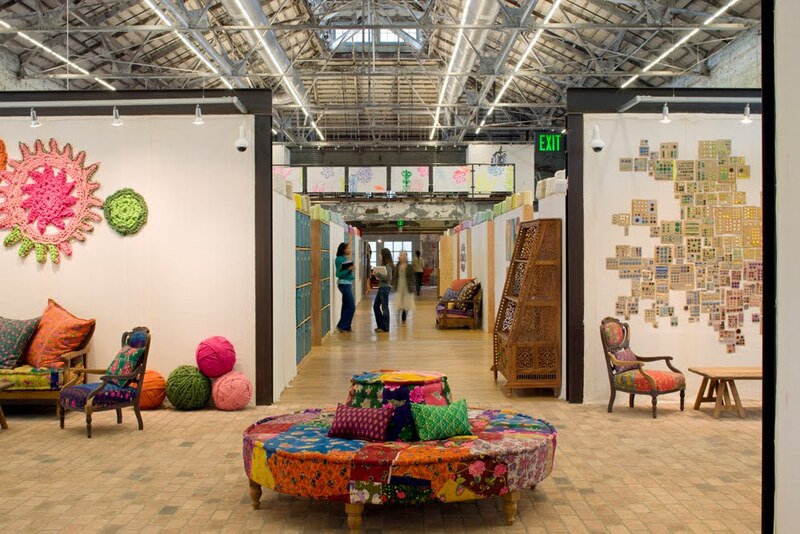 In face, we would expect nothing else from the boho meets chic retail corporation. 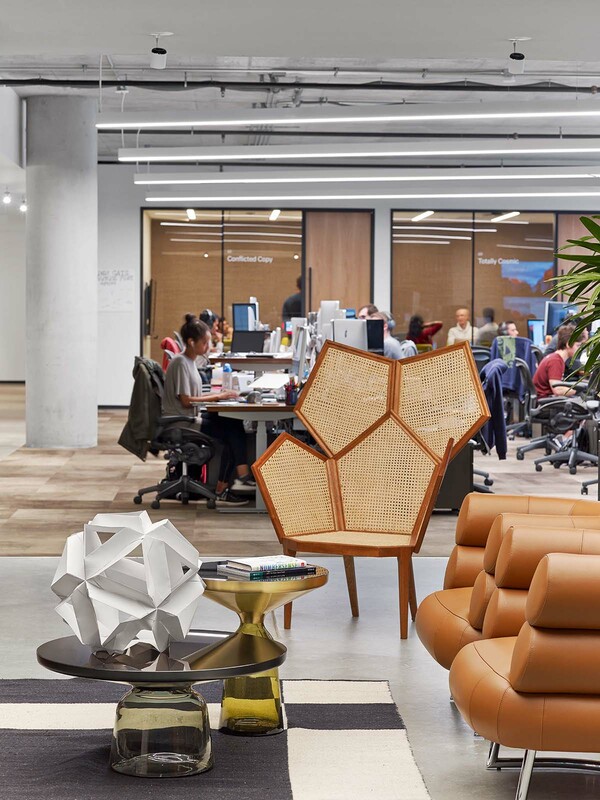 Urban Outfitters offices are just a celebration of colors and fabrics and it seems like there is no place more inspiring to work in when it comes to fashion. 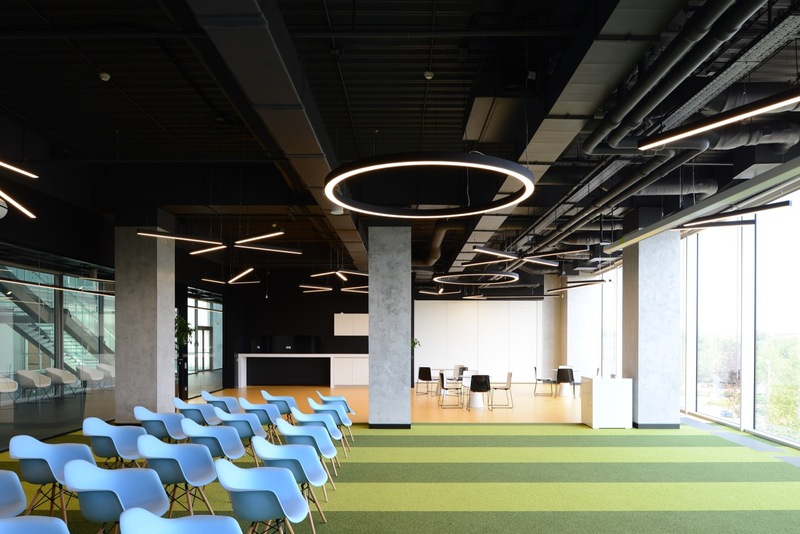 The Adidas Home of Sport office in Moscow is designed is basically a huge fitness center designed to make the employees and guests feel like they enter an Olympic Stadium. The complex that consists of different spaces is designed to create a good flow between its stories. The Adidas office design is based on the group’s logos and color scheme mixed with orange, blue and green. Being a sports company that is based on active lifestyle, it only makes sense the one can move around on scooters and each floor has tracks. The white and black tables and chairs calm the rest of the design. 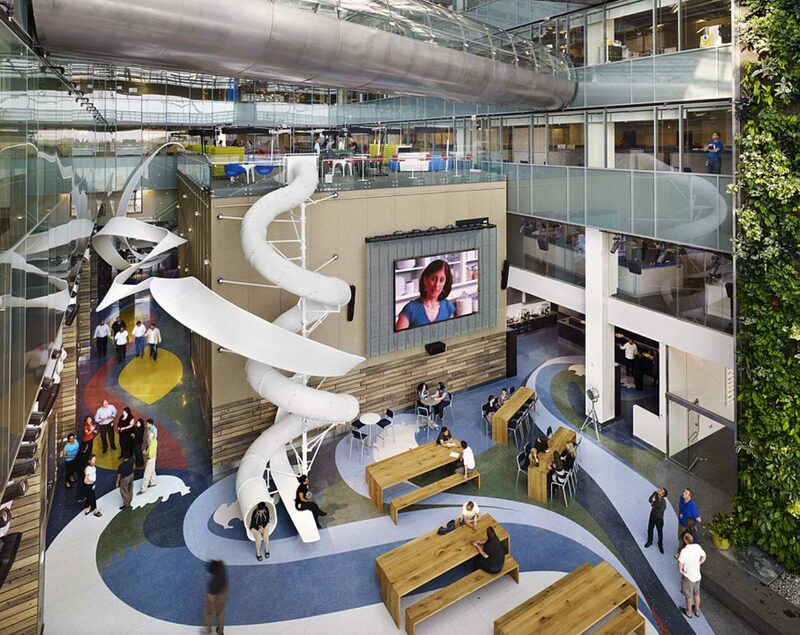 Google is known to have some of the coolest and most impressive offices around the world. Each space has its own character depends on the country it’s located in and the perks are endless. The idea behind these incredible work spaces is to make you want to stay in the office fir as long as possible and never want to leave. 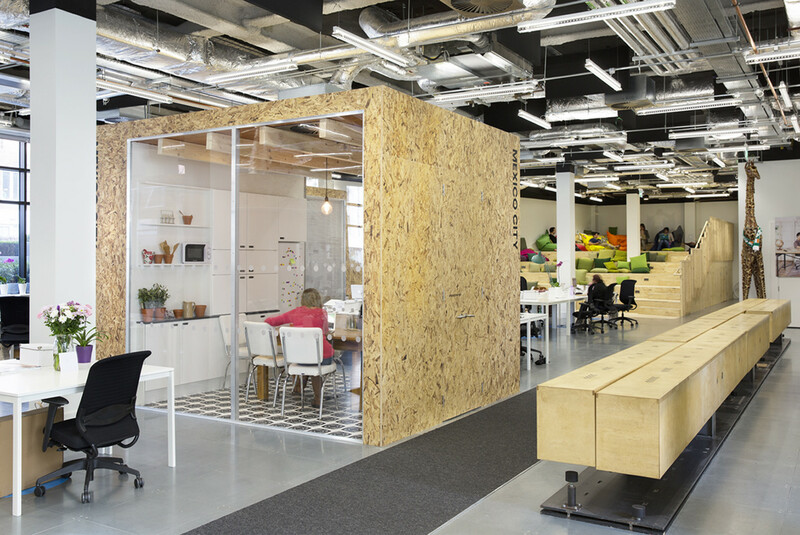 The 129,000 sq ft engineering hub in Zurich feels international on one hand with local touches. Some of the cool things it’s completed with are a slide, meditation bathtubs, a fire pole and serenity eggs. It seems like the soft drink conglomerate nailed the right mixture of business and fun when it came to their design. 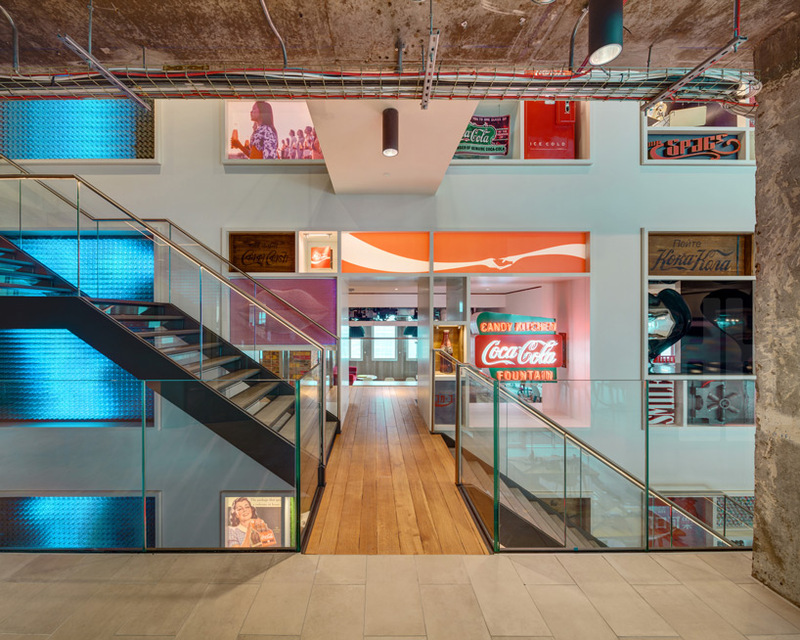 It’s written nostalgia in every corner, and that’s exactly what we love and would expect from the Coca Cola Headquarters that are located in London. 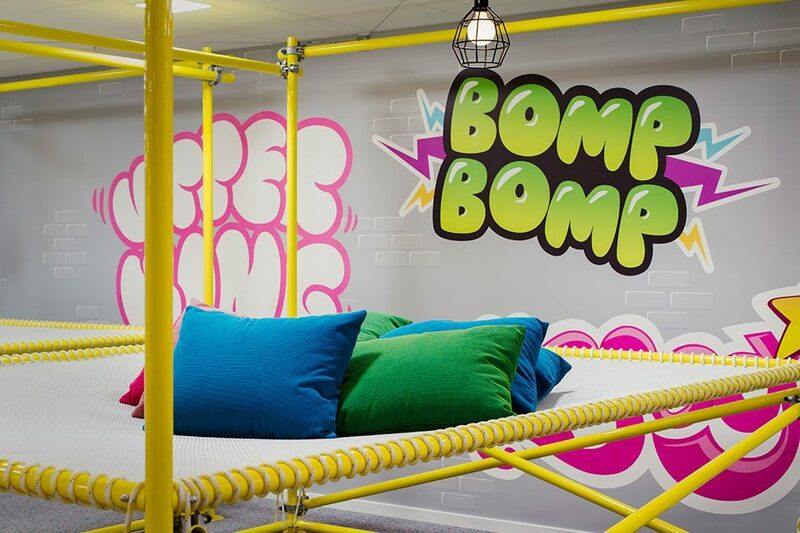 The big bonus is that it has a 4000 sq ft terrace with amazing views of the city to chill on!The wall that cuts through the three floor structure adds character and promotes the idea of a team work in those open spaces. It feels like a 50’s movie meets contemporary art. here are floor to ceiling climbers and to add some cleanliness, the workstations are divided by white cupboards that are great fro storage. The Milan workspace is the first creative business lounge that definitely follows the company’s moto of “doing business naturally”. 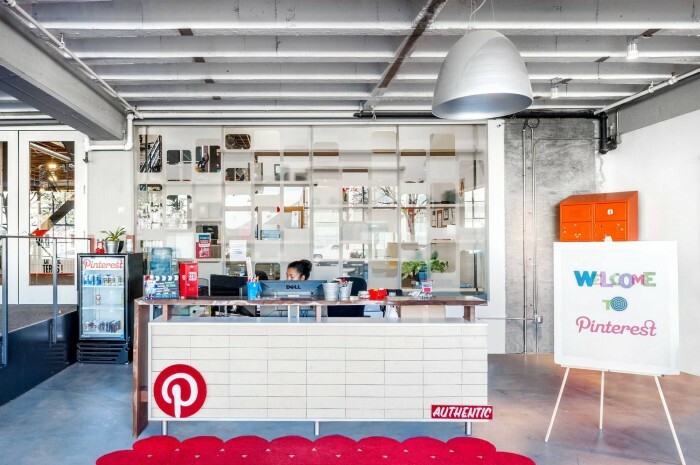 We have to admit we were kind of surprised with the inside of these Pinterest offices, as we thought it would be one big explosion of colors and endless wallarts and just one big colorful mess. 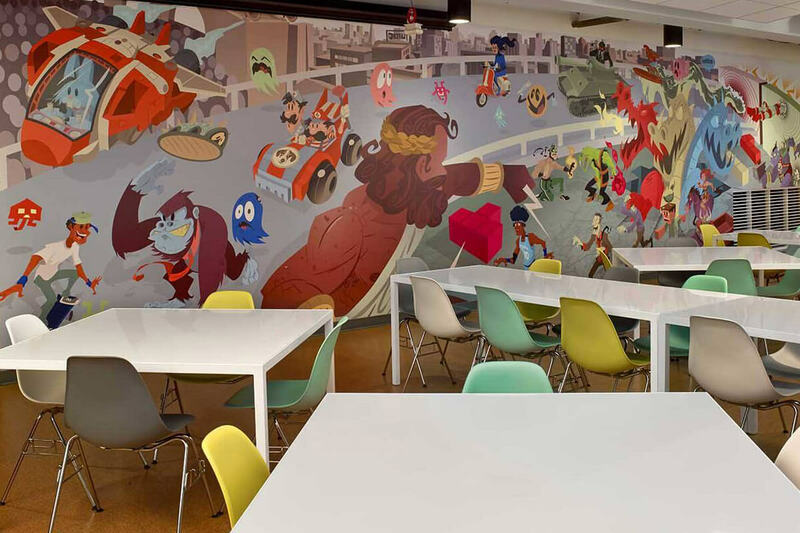 In fact, the San Francisco office of the content sharing website managed to find the right balance of creativity and professionalism all in one space in their new offices which they recently moved to. 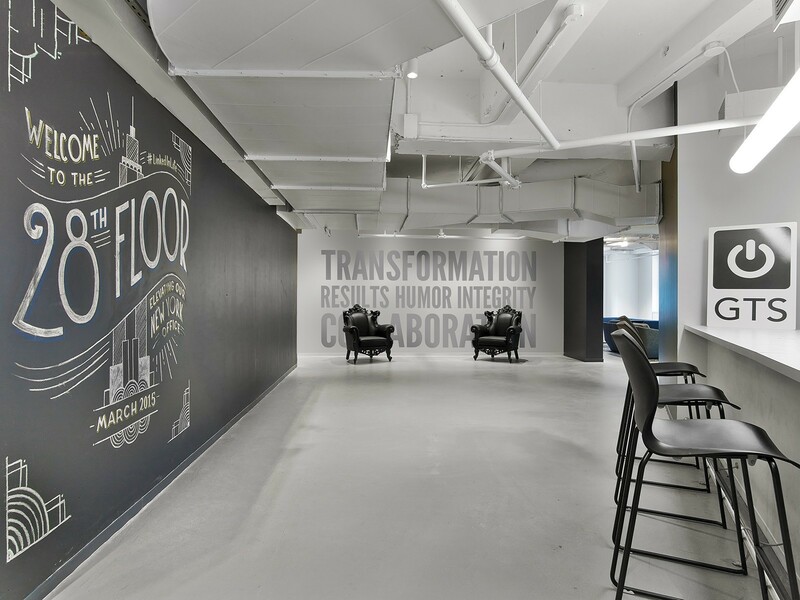 The walls are basically like a blank canvas where the employees can pin their creativity on a virtual pin board. 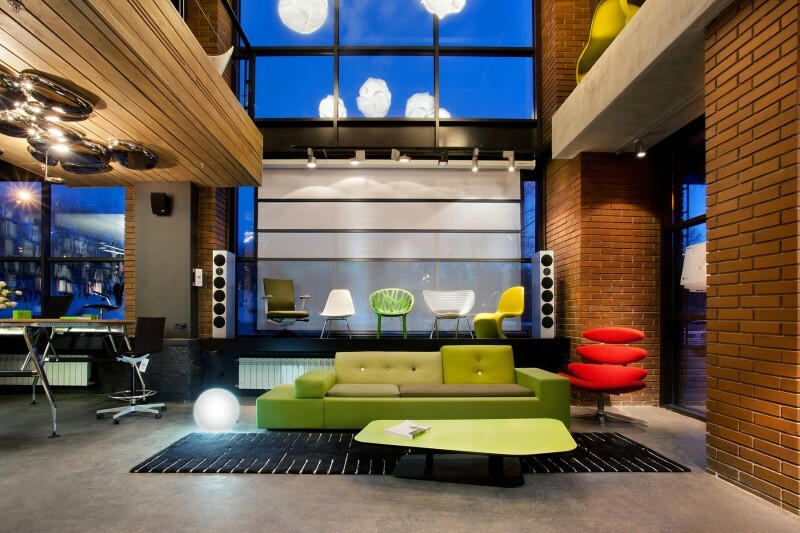 The virtual social game company that is based in Tel Aviv took everything they know best an implemented it in the design of their 700 sqm loft. 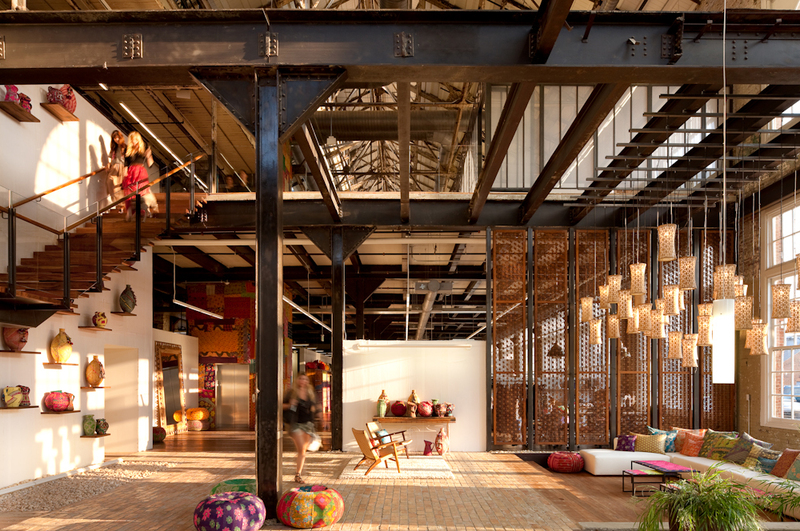 It’s a combination of industrial and urban design with drops of colors and unique furnitures. There is of course a gaming room and various meeting rooms. 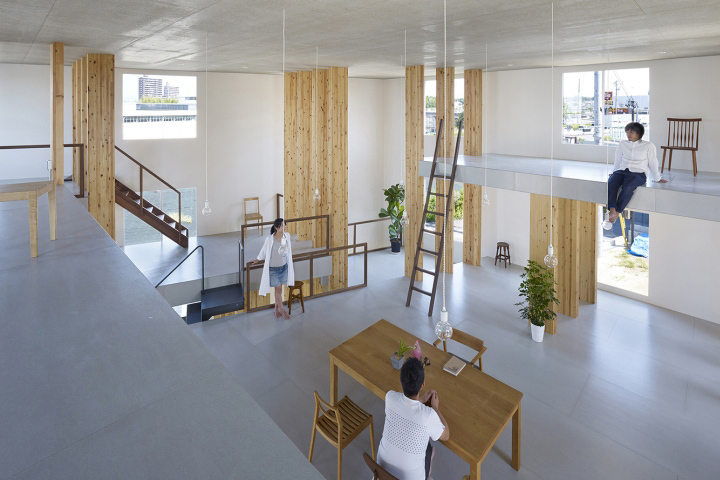 The clean white walls are of great contrast to the concrete floors. It’s really all about the small details that add to the playfulness of the place and the workspace. In all of color explosions and crazy design, it’s nice and quite refreshing to have a more calm one that is all black and white based. There is something very soothing and not confusing about stepping into a space that is very clean in its design. The Scandinavians like to use that style a lot. 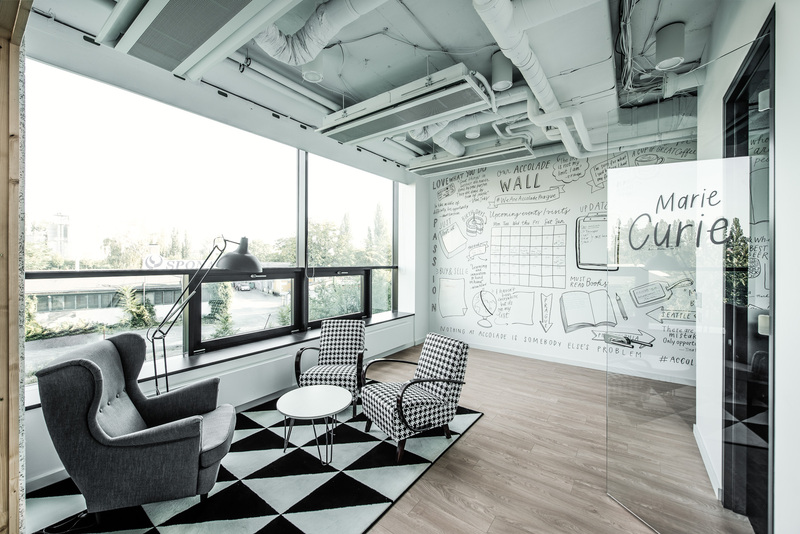 Accolade new development office in Prague said the design is inspired by cafes with an atmosphere where conversations can just spark out of nowhere and every where. If you were a student in college there is no way you never used Dropbox to share your files or collaborate your assignments with other classmates. 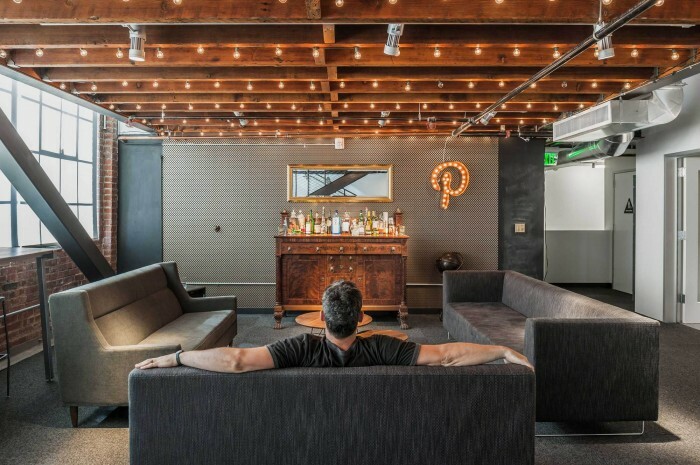 Taking a look inside their 300,000sq ft San Francisco offices is just magic. The company’s different teams are spread throughout the space in a neighborhood layout, making it a very friendly neighborhood to work in. The epic library that is inspired by an Italian theater from the seventies is there for a small midday getaway or of you need some inspiration to send a couple of emails. The chair in the shape of their logo is simply genius! It’s happy at Dropbox as every Friday there is a happy hour at the company’s bar. 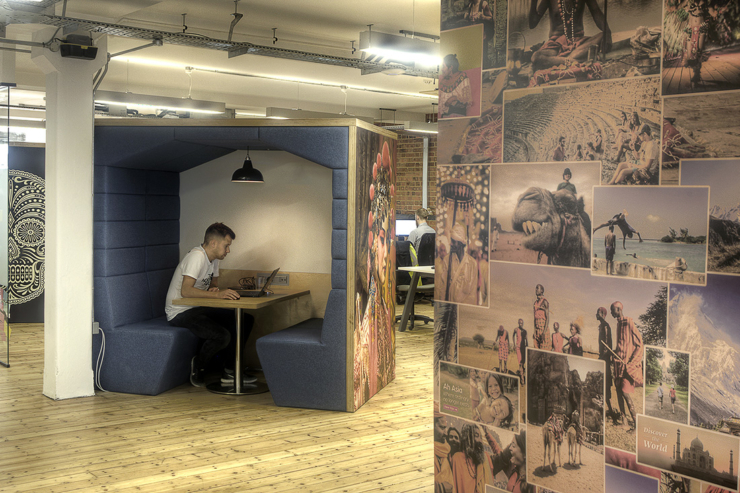 It’s all about the adventure at Intrepid Travel’s London offices. 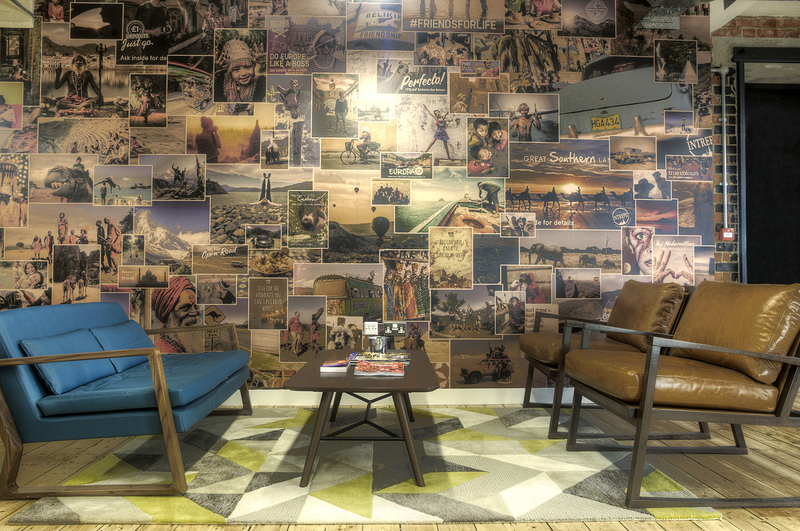 The international adventure travel company that was recently relocated to London wanted to focus its interior on the aspects of a journey and it contains many features that go along with the company’s identity. 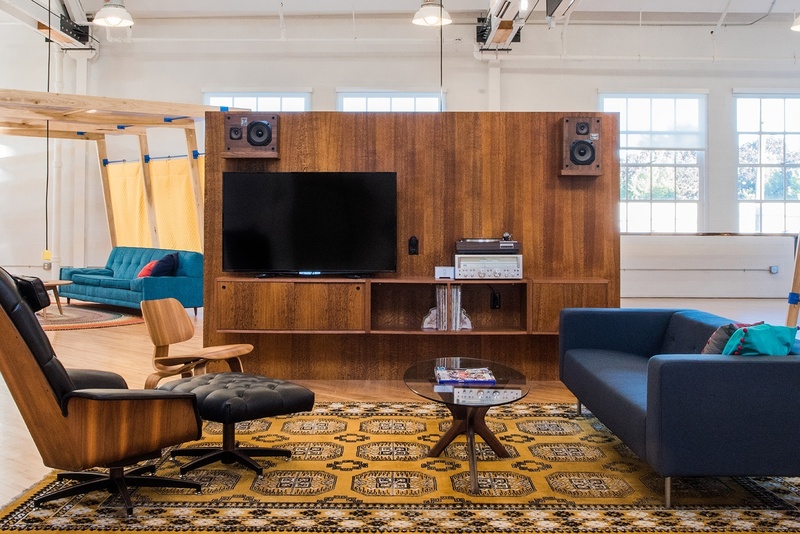 The offices of the technology startup which helps making event planning easier are like a trip down memory lane to the seventies with their retro design. The new offices are located in a former bread factory. Portland has leaned over the to becoming a techie town that provides opportunities for entrepreneurs and young inventors. The spaces inside are actually modular and everything can be moved around, in case one employee wakes up one morning and decided they want to re-arrange the place. The choice of colors are supposed to reflect fun and a youthful energy. 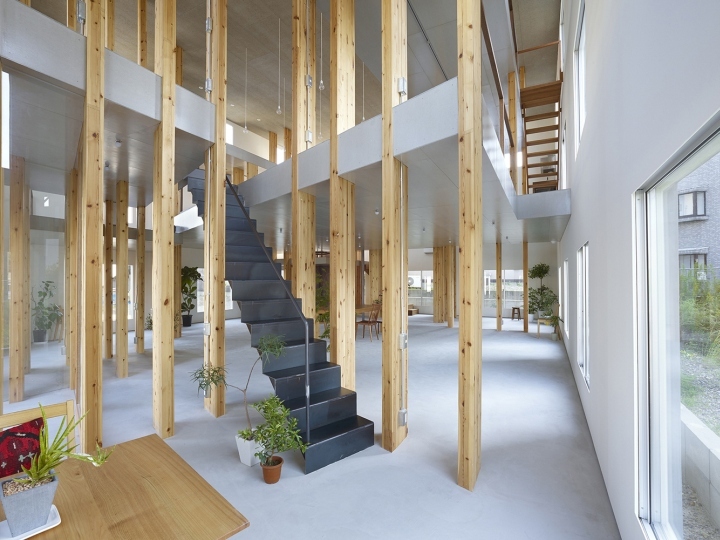 Located in a suburb of central Nagoya, Japan, the Mamiya Shinichi Design Studio is a big surprise when you come in from its very normal outside building. 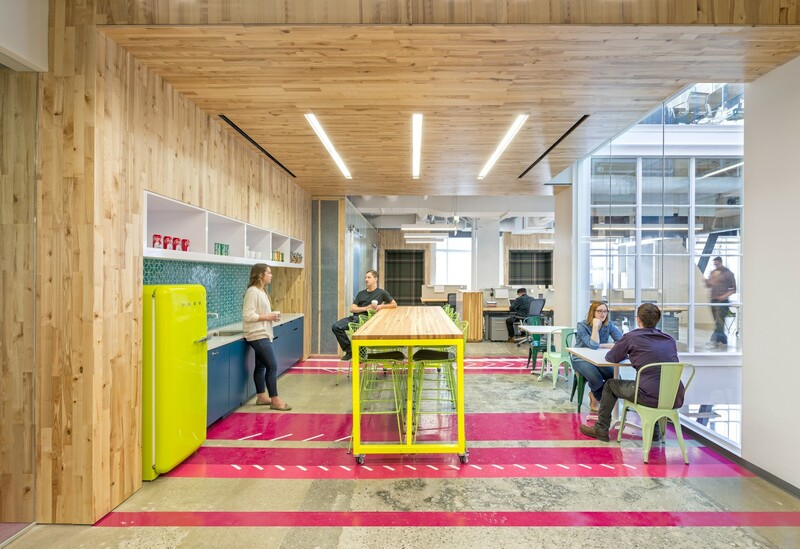 Once you step in you will find amazing wooden structures and dynamic platforms at staged at different heights where the employees could communicate through easily and openly. 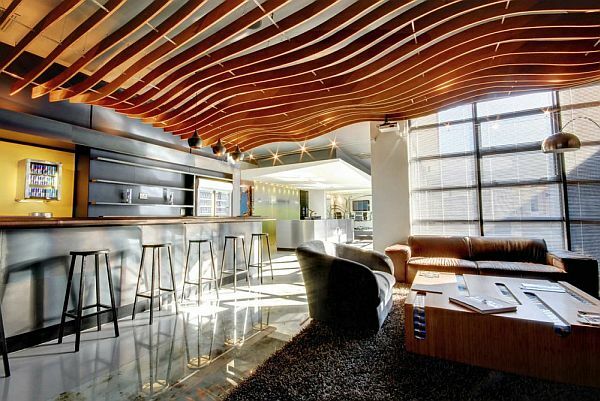 Just by the design you can tell that these offices must have something to do with video games. Twitch, the social video platform for online gamers, really paid a tribute to where all video games started from with their wall arts. Their inspiration was drawn from the legendary video games We just love the conference room which has so much character once you walk in. There is a balance of a low key atmosphere that intertwines with the dynamics of the gaming world. Located in a former factory in the heart of Moscow, the office showroom was designed to enable a functional workspace with and presentation spaces. There is nothing traditional about the architecture and it’s clear the architects wanted to express an art-based space with blocks and different heights and not the horizontal one we are used to seeing. Each space is functional in its own way and the decorative elements add sophistication, colors and a lot of character that could take each individual to a different place. It’s all fun and games and the Candy Crush Stockholm offices. 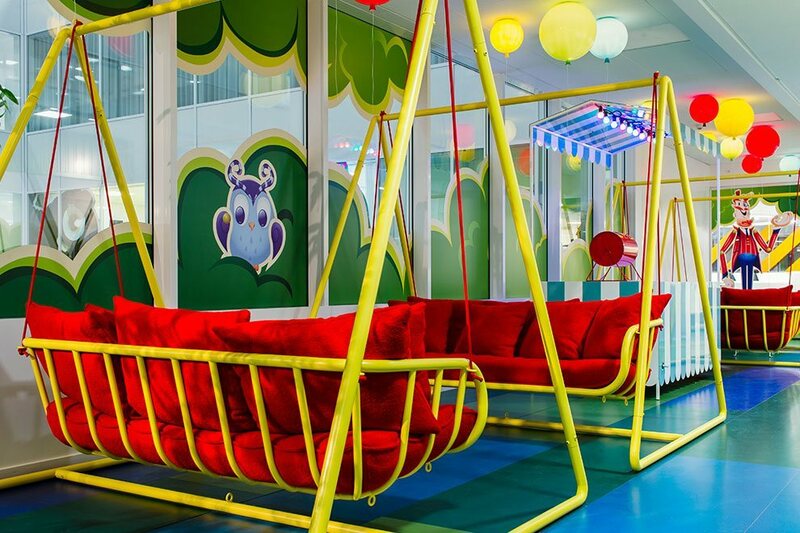 The most popular social game developer that has millions of users busy with their games every single day have one of the more playful offices which take you straight to your childhood. Over 400 workstations, 42 meeting rooms and a public park right inside. It’s like a retro amusement park with all the modern online characters. Fun fun fun! 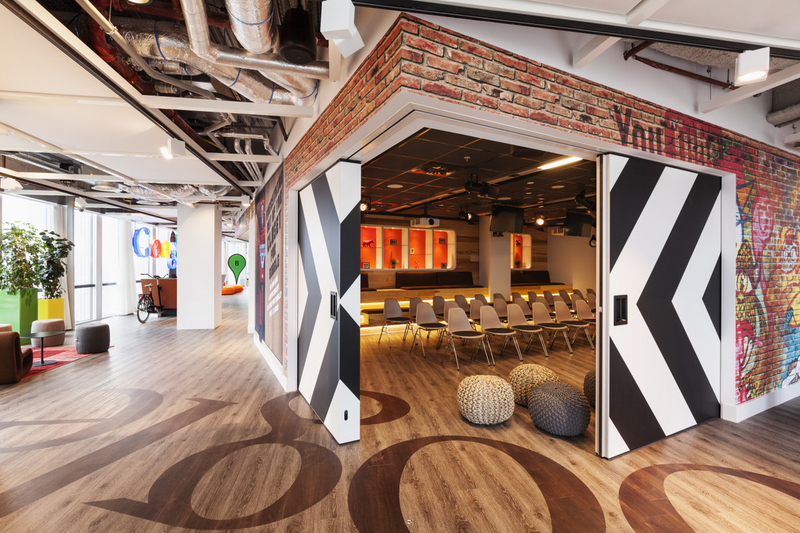 It’s another Google office, surprise surprise! 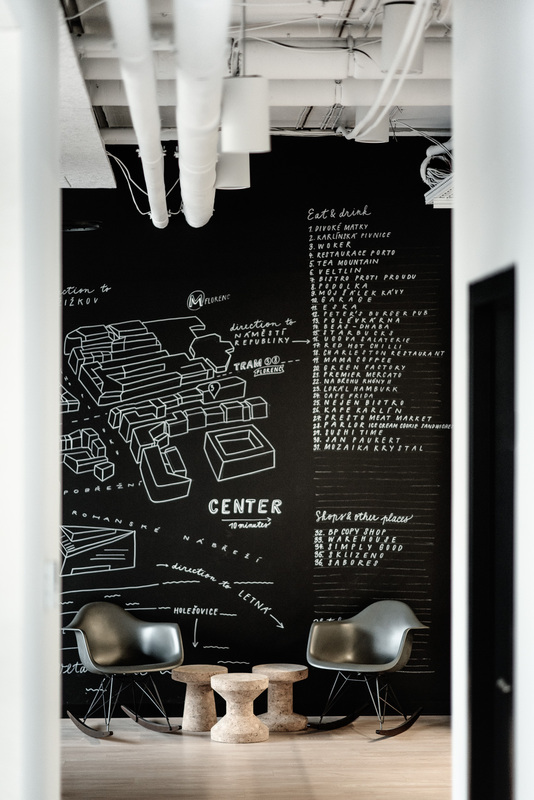 The fairly new Amsterdam office design was inspired by the garage that the founders of the company first worked in before they became as big as they are today. 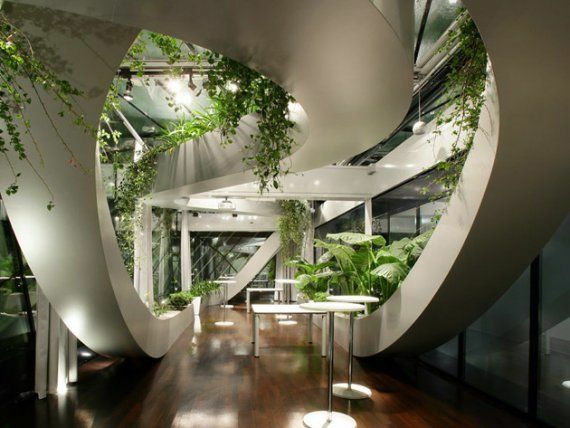 Each floor is different from the other with very creative working pods. 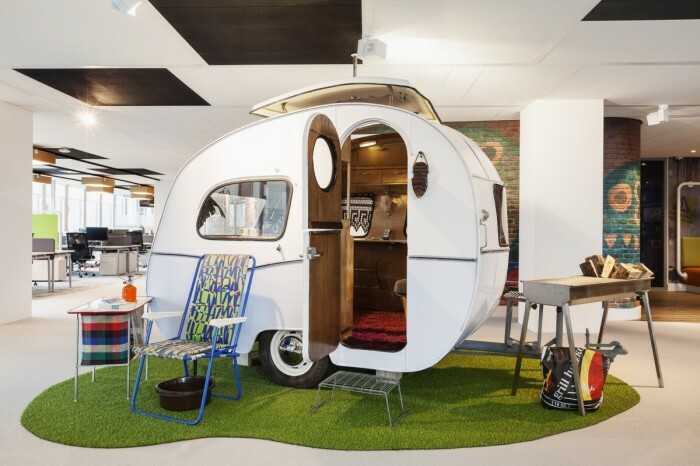 The office consist of a meditation room, a carrier cycle reception, and also some very Dutch elements such as stroopwafels hanging from the ceiling and caravans. What would we have done without Skype, it feels like it has always been around. True the site has been taken over by other instant conversation platforms such as Whatsapp and Viber, but it’s still one of the best media to connect people around the world. The different nodes are interconnected by triangular shaped furniture. The choice of colors goes hands in hands with the Skype logo and graphic language. 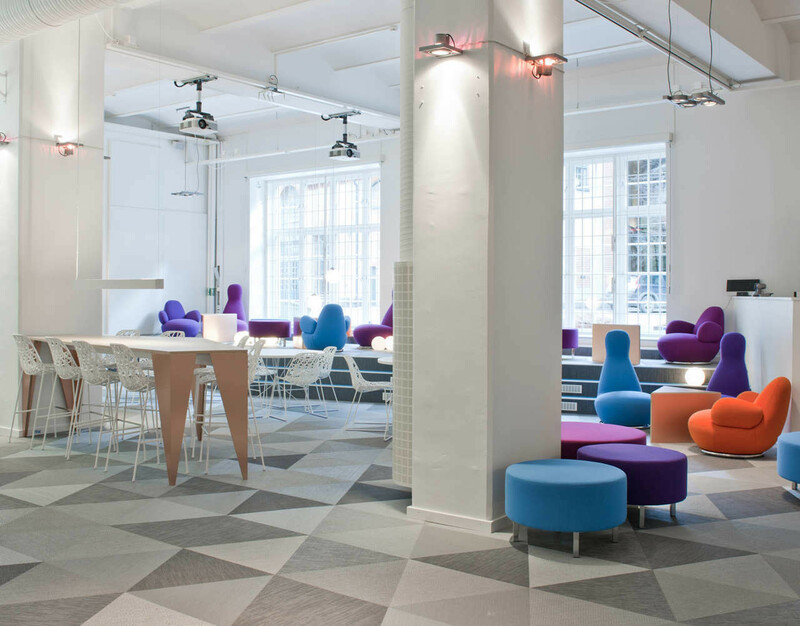 All these colors create a playful setting for the Stockholm office.